Every Christmas, for the past 10 or so years, I have asked for the same thing: a flashlight and/or a pocket knife. Why? Because there is almost always a chance that every day that I will need to use one of them. My first thought when I got my hands on the flashlight was about just how small and compact it was. 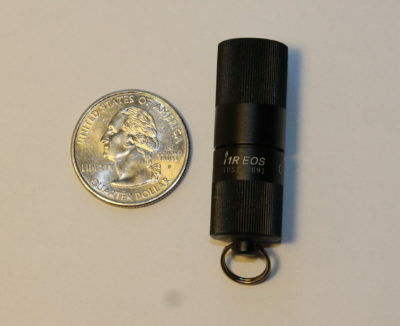 At half the size of a tube of lip balm, this light takes up minimal space and packs a big punch. Click here to read my initial impressions of the Olight I1R EOS Flashlight.